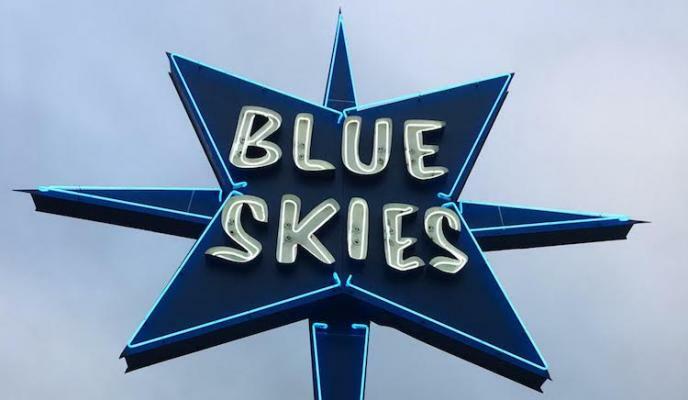 The Blue Skies sign is back and looking gorgeous and sparkling as ever! Looks great in this photo. My Mom lived there for a couple years in the 1970s and really enjoyed it. Is it my imagination or did the sign use to be taller? It looks bigger at night to me. I love that sign! We need more neon (classy designs only).